I'm getting to that point in life where there have been some very special people in my life that have passed away. It is always hard to say good-bye. Even when we know that someone we love is no longer suffering and is with the Lord, it is still painful to feel that loss. Last week, my dear friend, Aimee, lost her Dad. Here is what the obituary said. 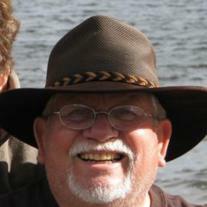 Lacy Worley Jr., age 73, passed into the presence of the Lord on Wednesday, November 23, 2011. He was born to the late Lacy and Mittie Worley on August 9, 1938 in Sprague, WV. Lacy was an active member of Karl Road Baptist Church, where he loved to serve. He was a Navy veteran, having spent four years on active duty and 18 years on active reserves. Lacy retired from Englefield Oil Company, but didn’t stop working his two favorite jobs as a construction assistant with his son Sean and as a Red Coat at The Ohio State University. He loved the Lord, his family, and the Buckeyes. He will be dearly missed. In addition to his parents, Lacy is preceded in death by brothers, William Worley, Ray Worley, and Ed Worley; sisters, Margaret (Worley) Spadafore, Mary (Worley) Reed, and Evelyn “Jim” Worley. He is survived by his faithful wife of 46 years, Judy; loving children, Aimee and Sean; devoted granddaughters, Alexis and Elizabeth Worley; mother-in-law, Juanita Pierce; sister, Mae Worley; brother and sister-in-law, Jack and Dannie Worley; sister and brother-in-law, Jim and Ruth (Worley) Kitchen; numerous nieces and nephews and friends. This is what the obituary couldn't cover . . .
*Lacy made you feel like family. You were loved, hugged and cared for from the first moment you met him. *Lacy would do anything to help you. If he heard about a need, he wanted to meet it. There is no telling how many houses he has worked on, yards he has helped in and families that have been blessed by Lacy's heart to serve. *Lacy loved the church. He loved greeting people on Sunday morning and helping around the church building. Everyone knew who Lacy was and felt welcomed and cared about when they walked in. *Lacy loved his family. He and his wife Judy were a team. They held together during tough times and laughed a lot during the good times. They did a great job raising Sean and Aimee into two amazing adults. Lacy loved his granddaughters Alexis and Lizzy. He was a safe place and a rock of stability for them. *Lacy loved The Ohio State University. As most of Columbus, he was a huge fan and he served as a Red Coat during the games. He considered it such an honor and he made a difference to everyone who worked with him and all those who walked past him in the stadium. When someone leaves this world, it makes me think about the impact they made while they were here. My life has been forever changed by my grandparents, my aunt, my friends Marcy, Janeth, Dave, Jim and Jill and many others that I could name. I have been touched by the way they lived and by the way they died. There is such peace when you have the assurance that they have not just passed on from this life but that they have crossed over to be with the Lord. They have all left their mark on my life and I aspire to love and follow the Lord as they did. I am so thankful for the legacies that these dear friends have left. They soaked up everything that the Lord had for them and lived life to the fullest. They inspire me to do the same - and for that, I am very thankful.